Our Texas car shipping quote calculator gets quite a workout. The word Texas comes from the Caddo word Tejas, which means friends. So don’t mess with friends and don’t mess with Texas! They say everything is big in Texas. Sure enough, Texas is the second most populous US state with almost 27,000,000 people and counting. Geographically it is also the second largest state in the union. It is located in the South Central region of the United States, bordering a huge swath of Mexico, and the states of New Mexico, Oklahoma, Arkansas and Louisiana. In many respects, Texas is like three different states. East Texas has a lot in common with the southern states, including thick woods, rolling hills, and even swamplands. Western Texas can get pretty parched and has a huge chunk of desert. And then you have the Mexican border towns of Brownsville, McAllen, Laredo, Del Rio, El Paso and more, which have a different flavor than the rest of Texas. America has long observed an independent streak in the state of Texas. 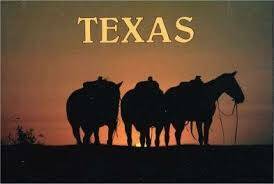 You have to know the history of Texas to understand why that is? The Spanish laid claim to it first, then the French had their turn, before Mexico won it over. Texas then claimed its independence from Mexico in 1836. Only nine years later in 1845 Texas joined the union as a slave state. So in 1861 when the Civil War started, Texas seceded with the other southern states. Within about a 100 year period Texas bounced around like a pinball from European pawn to Mexican territory to independent republic to statehood to independence again and back to statehood. Who’s on first? What’s on second? Even to this day some people wonder whether they think of themselves as Texans first or Americans first? It hardly matters though because those things are one and the same. Just look at the US Navy Seal hero, Chris Kyle, and you will find in one man what it means to be both a Texan and an American. Texas has given us the 36th president of the United States, Lyndon Baines Johnson, the 41st president George Bush, and his son the 43rd president George W. Bush. President Johnson has a mixed legacy, deftly shepherding civil rights legislation in 1965 that likely would not have happened without him. His ability to do that as a Southerner took moral courage and perseverance. It was almost Lincolnesque. On the other hand, LBJ led us into the Vietnam War which was an unmitigated disaster. It was because of the student Vietnam War protests that caused President Johnson not to run for reelection in 1968. Our 41st president, George Bush, did a magnificent job of leading a United Nations coalition in 1991 against Iraq. It took considerable skill and leadership to win that war. Unfortunately his son, Bush 43, did not fare as well. He led the nation into a war with Iraq under false pretenses with disastrous results that we are still coming to terms. For the longest time Texas was very much a cattle state. It is almost synonymous with the American cowboy. That was especially so after the Civil War, during Reconstruction and well into the 20th century. Things changed rapidly and dramatically once they struck oil. In the mid-20th century especially after World War II, with the American car driving the economy Texas got filthy rich. Hey they were due a break. Texans were smart with their money and invested heavily in their university system which is a model even today. There are nearly as many Fortune 500 companies in Texas as there are in California, about 57 each. High-tech industries are attracted to Texas such as oil, chemical, energy, aerospace and biomedical. There is a rich talent pool in Texas and a pro-business environment. The booming economy and growing population makes it ideal for the Texas car shipping industry. What Works Best In Texas? But what about shipping your car to Texas? That’s easier done in East Texas. The Dallas-Fort Worth area is the eighth largest metropolitan area in the country. Houston is not far behind ranking tenth. You could draw a line right down I 35 from McKinney, Denton, Frisco, Allen, Plano, Garland, Grapevine, Irving, Arlington, Mesquite, Dallas, Ft. Worth, and South through Waco, round rock, Austin, Georgetown, Killeen, until you hit San Antonio … and east of there is ideal for the auto transport industry. That’s where most of the action is in Texas including Sugar Land, Pearland, Pasadena, Katy, Spring, The Woodlands, Humble, and what is otherwise known as Houston, Texas! Speaking as an auto shipping broker we love East Texas. Our Texas car shipping quote calculator rocks in East Texas. The Mexican border towns are a lot harder to ship to because they are at the end of the distribution system. It certainly happens but not as frequently, so we counsel patience, and please know that we put a little extra to entice a driver to make that run. Just gotta do that. The same can be said for the Panhandle of Texas, including Amarillo and Lubbock, and the West Texas towns of Abilene, Midland, Odessa and San Angelo. It’s wide open country when you get out there to the west of Texas, and there are most definitely auto shipments from and to there, but once again we advise patience. Our Texas car shipping quotes calculator adjusts for that as well. You can visit Direct Express Auto Transport to fill out a simple form and get a free car shipping quote. We make it easy to book your vehicle shipment online.